I was reading now a few months ago about the 12.7 x 44 cartridge of Sweden, and it is fascinating in this Swedish cartridge is listed as the 12.7 Norwegian in brass. The reason for bringing this up, is in the threads was another of these 'always experts' who was stating that buffalo runner Frank Mayer had been disproved by the historians in his personal accounts on the buffalo harvest and the guns used. What is of interest in this is, Mayer states that any gun crank could special order any gun they chose from the major manufacturers like Sharpes from rifling twist to barrel length. Bat Masterson special ordered his Colt revolvers from the company, and it is a reality like today, that if one orders some caliber and barrel, a manufacturer will turn it out, with protests as long as the money is sound. What this is based on is the 45 - 120 - 3 1/4 inch Sharpes cartridge which the experts state that Sharpes did not manufacture. There are problems in this as revelations appear which were unknown. This is akin to the experts swearing that a 40 90 Sharpes never existed, and yet Mayer had one, a rifle he stated he purchased from Col. Richard Irving Dodge, who was a noted hunter and military expert. Again another gun crank who could afford to get any gun he wanted in any cartridge he dreamed up. I provide these interesting quotes on the Sharpes 45 - 120 which is discounted as 3 1/4 inch length by the experts. "bet your wrong on this one, Why? Because L.A. Huffman was the official photographer for this very trip that McNaney was on and you mention. In Huffman's personal effects are some 45-120 ammo, YES THATS RIGHT! hate to bust your bubble but they are 2-7/8ths cases. Listed on the box is 45-120 For Sharps rifles. With a 120 gr charge of powder and 500 Gr PP Bullet. One box is unopened and the other is. I have done some serious Research on this one and not just Conjecture, I have found 45-120 ammo and sadly all of them have been 2-7/8ths cases. As for the debate concerning the date of usage of the .50x140x3 1/4" case I would just like to throw this into the pot. To quote old Elmer Keith, "The old buffalo hunters I talked with, and who are now gone to the Happy Hunting Ground, differed in their descriptions of the cartridge used by the big fifty, some claiming it was .50-95-473, and using a 2.5" straight taper case, while a few others, including Waldo P. Abbott, were just as postive that it took a 3.25" straight taper case and a charge of 165-170 grains of powder and a 700 grain patched ball. Mr. Lenneville knew a man who had seen the .50-170-700 used on buffalo and who stated flatly it took a 3.25" case!" While the Big 50 is a different cartridge, one can ascertain by the above, the absolute discrepancies in that cartridge, prove there was a great deal of creative manufacturing taking place in specialized firearms in America. The Big 50 as was shot by Billy Dixon, was a standard 50 90, which had a great deal of recoil, was in all probability the 2.5 inch case, but others expanded it for more power to a 3 1/4 inch case. They were all Big 50's, but some were special order 50's which were out of the norm, as shops would create anything and that included the brass, and jigs for casting bullets. I dislike the modern experts in tearing into people who recorded history as they saw it, or had it embellished by other writers who were co authoring for them. They are always so dead certain of their information, and then slink away when other information proves them incorrect. It is like Mayer stating he knew a dancer named Silverheels or something, but the experts state he would have had to have been 11 years old, in Pennsylvania, and not in Colorado. With that point, why could not a noted act twenty years before, be reborn by a new woman, just the way Cher was repackaged as Madonna, then Britney, than Miley Cyrus. While I dislike the always experts, I really enjoy the firearms, especially in the Remington Rolling Blocks the Swedish government manufactured. The jigs wore out, and the control was not precise, so these rifles appear in a wide gambit of bullet sizes and case lengths. I have seen too that a case fits into one, but is too long for another. The same reality is reading the people who shoot these old guns, in the ones who take the time in Europe to figure out the right cartridge to shoot in their gun, have quite precise firearms, while others are claiming their guns are horrid in being inaccurate. What is taking place here is the correct cartridge has not been spec'd out for that firearm, as one size does not shoot all. In creation the 12.7 x 44 was fitted with a bullet not of 50 caliber but one of around .495, and the Swedes due to dirty bores from black powder in war, used undersized bullets, with a hollow base, which would expand and by this engage the rifling. This was the military method of keeping an army shooting when their guns were dirty. It would not be precise, but it would put a bullet into concentrated ranks and blow a big hole into one or several of the enemy. The 12.7 has 'only' a 1 3/4 inch cartridge, so is almost half the size of the big Americans, but yet this 50 70 type is what George Custer successfully harvested elk, buffalo, grizzly and anything else, as the Swedish hunters harvested hundreds of thousands of moose. Buffalo Bill in his Lucretia, shot the military 50 70 and killed thousands of buffalo on horse back running them. So the experts are rarely experts except in their field which is limited to their limited knowledge. 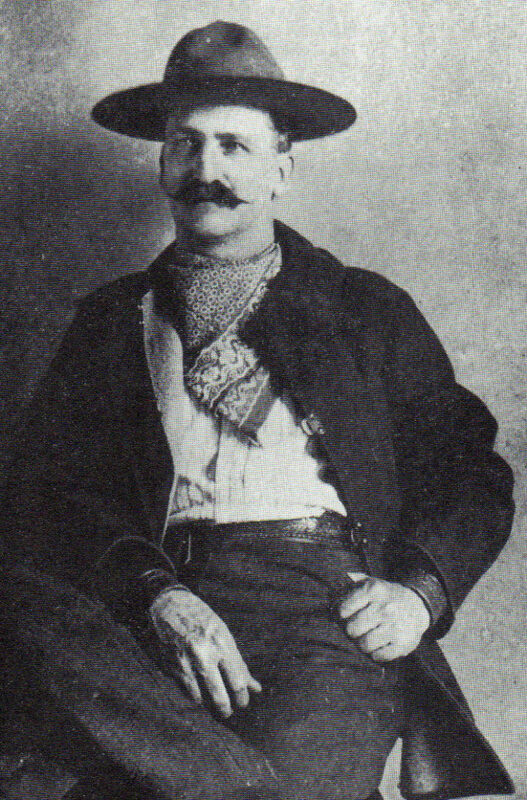 They question Frank Mayer on using antelope skins for patching on his bullets, when this of course was the case, and if they read Frank Mayer's original quote, he noted that he had a special heavier bullet made for his 40 90 Sharpes. That bullet could have been of a dimension which would have allowed or called for something like thin antelope skin and shot better with it. We simply do not know, because we were not there, but have no right to discount what Mr. Mayer recorded as his experience or the experiences of others. The only gripe I ever had with the arrogant German in Frank Mayer, is that he never stooped to the details of the little useless things which are so important for historical reference, as Teddy Roosevelt did in his sleeping gear or Billy Dixon did in his quart tin cup which was his kitchen. You can read the story here. I would recommend copy and saving it to your archives as things disappear online.